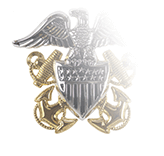 The lacing set for sleeve insignia of U.S. Navy Admirals contains four 30-inch strips of gold lacing. The single 2-inch-wide strip of lacing is sued for two stripes, one on each sleeve, positioned so that the bottom of the lacing is two inches from the sleeve cuff. 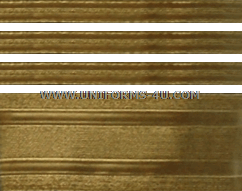 Similarly, each of the three 1/2-inch strips (also 30 inches long) is used to craft a stripe on each sleeve; these second and subsequent stripes are placed a quarter-inch apart from the one below them. 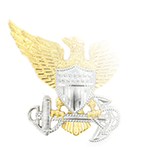 One item you will need for the Admiral sleeve insignia is a sleeve device; for four-star Admirals, the only sleeve device that is worn is the single, five-pointed gold star. 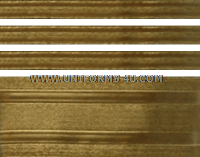 It’s worn a quarter-inch above the uppermost stripe on each sleeve, centered between the rear and front creases of the jacket. 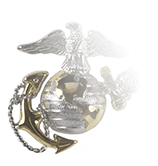 Please visit out Navy Sleeve Devices page to add a pair to your shopping cart to make your sleeve insignia set complete. 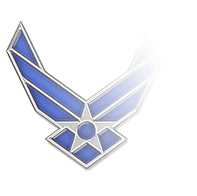 And if you’re purchasing the lacing and sleeve device for placement on a uniform you’re purchasing here at The Salute Uniforms, we suggest you consider our Lacing Sleeve Device Sewing Service. 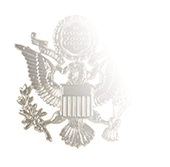 For a single price, our expert sewers will hem the sleeves of your jacket to the precise length you specify, then expertly attach sleeve lacing and your sleeve devices exactly where they're supposed to go per Navy regulations--all of which means your jacket will be read to wear the minute it arrives!